In 1981, Jennifer Holmes starred in a South African horror movie called The Demon. The film also featured the ever-hammy Cameron Mitchell as a psychic. 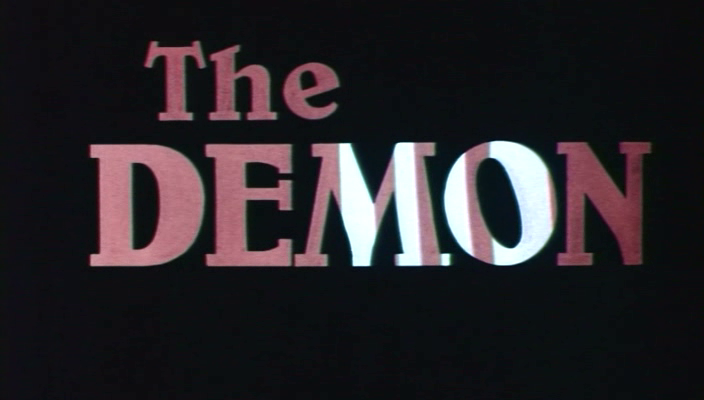 The Demon is not the best horror movie ever but neither is it the worst. It's just an interesting film that one may see as they traverse the wonderful world of horror cinema. Hey, at least this one has some good ideas and some intriguing camerawork. It's a decent watch for those with time on their hands and fans of Jennifer Holmes won't be disappointed (she appears sans clothing several times).